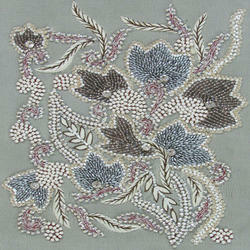 Colorful & gorgeous beads have been used to create Beaded Embroidery with different types of threads. The beads have been used to create varied elegant patterns that are absolutely mesmerizing and available in green, pink & brown colors. Thread of high quality has been used to place these beads in the shape of leaf and flowers that enhance the charm of the dress. 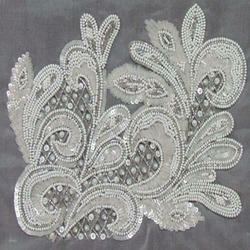 Owing to our embroidery experts, we offer beaded embroidery at affordable prices. 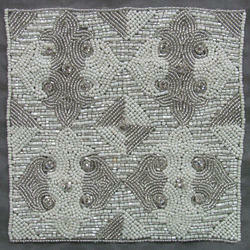 We provide Allover beaded embroidery fabrics.Customized beaded embroidery fabrics are also Customized placing an order. Ideal for transforming plain fabrics into the designer garment, our range of Beaded Embroidery has gained immense popularity amongst our widespread client base. 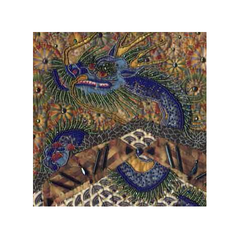 Our range is widely acclaimed for its intricate embroidery, colorful threads, vibrant color combinations, matchless designs and beaded embroidery stitches such as chain stitch, back stitch coaching. Crafted under the supervision of our designers, our range can be customized in accordance with the designs and other specifications provided by the clients. 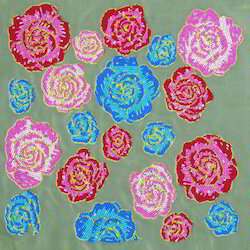 Our collection of Beaded Flowers On Fabrics these are sure to be noticed in the garment industry. The products offered by us are designed at par with the defined industry guidelines. 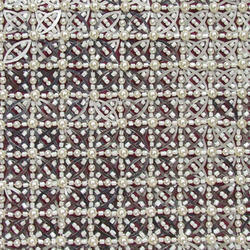 Their superior finishing makes these embroidery fabrics one of the most demanded fabrics in the market. 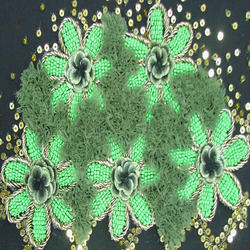 Looking for Beaded Embroidery ?